A marketplace connecting cooks and eaters. Feastly is a global marketplace for chefs to showcase and host dinners, pop-ups, supper clubs, and food experiences. Their platform stages them as the 'AirBnB of food', connecting diners to cooks who curate an experience for them. Feastly’s mission is to democratize dining and reintroduce the dining room table as the original social network. 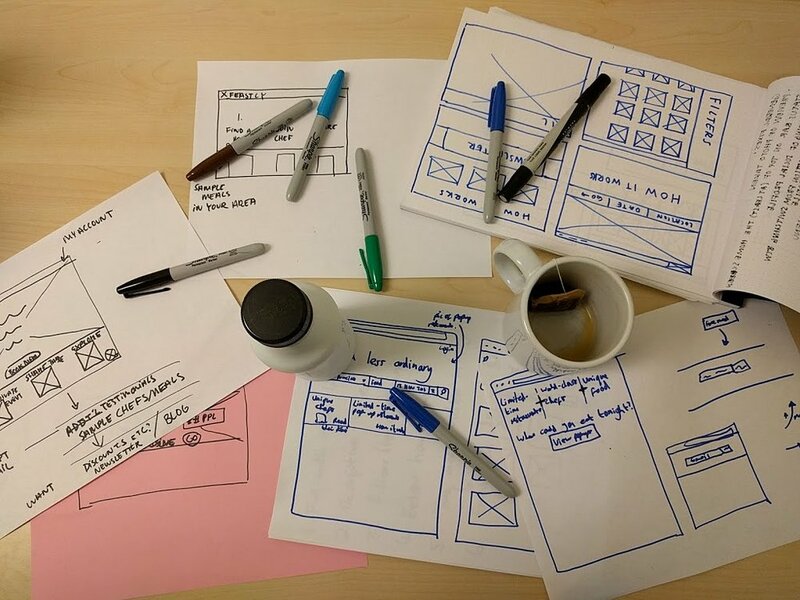 Design Research, A/B Testing, Wireframes, UX + UI, Prototyping. Design lead. Design an optimal home screen for their website based on user research + A/B testing. Click here to see our final hi-fi design. With our personas we conducted 8 user interviews + usability tests with the existing website. We used David Ghent’s Trello method to organize the pain points we uncovered to help synthesize faster and cut down note generation time. We then prioritized design opportunities by evaluating the pain point themes on a 2x2 matrix. For the high priority themes, we worked through several rounds of Crazy 8s and used dot voting to discuss the best ideas. Add a button showing that signing up gives a discount. Polish the brand and homepage messaging. The button we added in Variation #1 showed a 475% improvement in conversion rate. Feastly was happy with the results and moved forward with our production of hi-fi designs. Based on all our findings, we created a hi-fi design providing more value to Feastly (better conversions for signups) and users (easier navigation + comprehension). 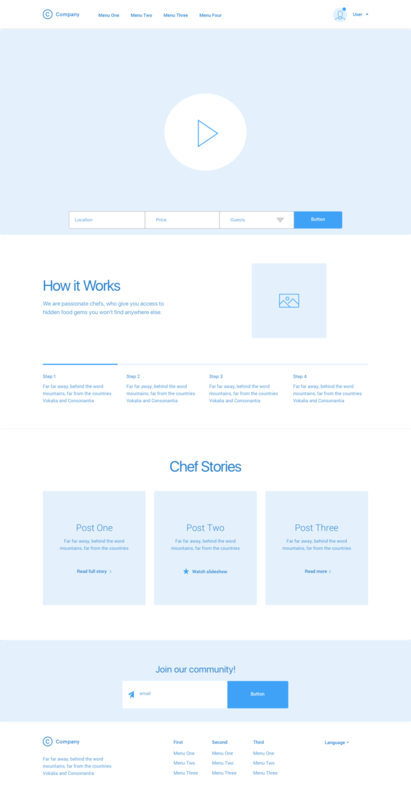 For design consistency, we used Feastly's exisiting style guide. Leading a team of 4 creative people for a food tech startup was an exciting experience. I continued to build my team leadership skills, learned how to design with quantitative + qualitative data, and navigated through a loosely scoped project. Validating our changes with analytics was especially rewarding with a 475% improvement in conversion rate. Feastly was impressed with our results and final product. The team implemented some of our designs.